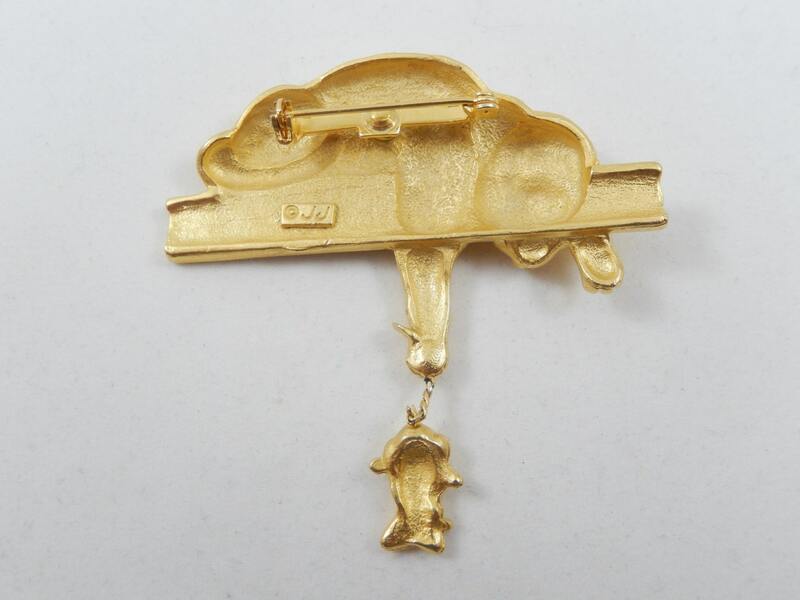 This is a brushed gold tone cat holding a dangling mouse by its tail. The poor mouse who is attached by a chain has his arms crossed and is tired of swinging around! The pin is in good shape and is signed JJ on the back which stands for the Jonette Jewelry Company. It measures 2 3/8" x 2 1/2" and the pin is straight and works smoothly. 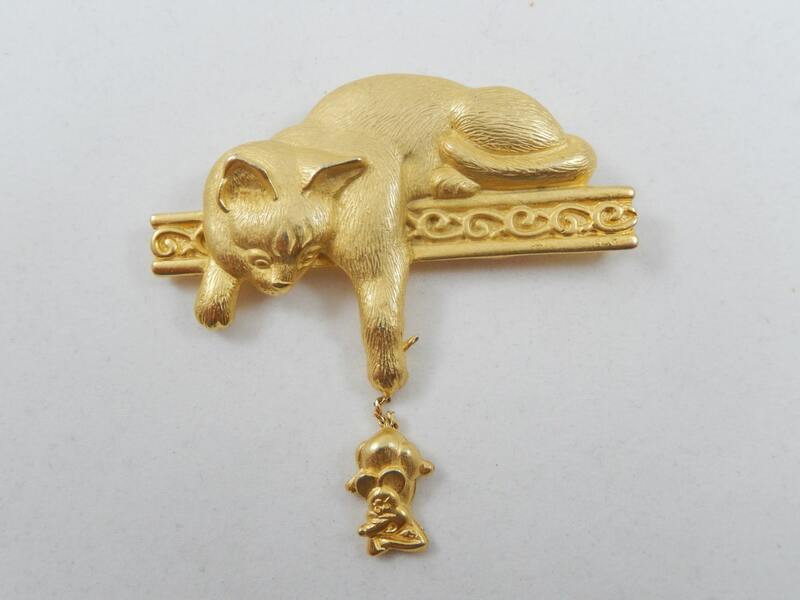 This is a fun pin especially if you love cats or work around animals.